Sutton’s family is understandably upset after again being left out of the Naismith HOF. 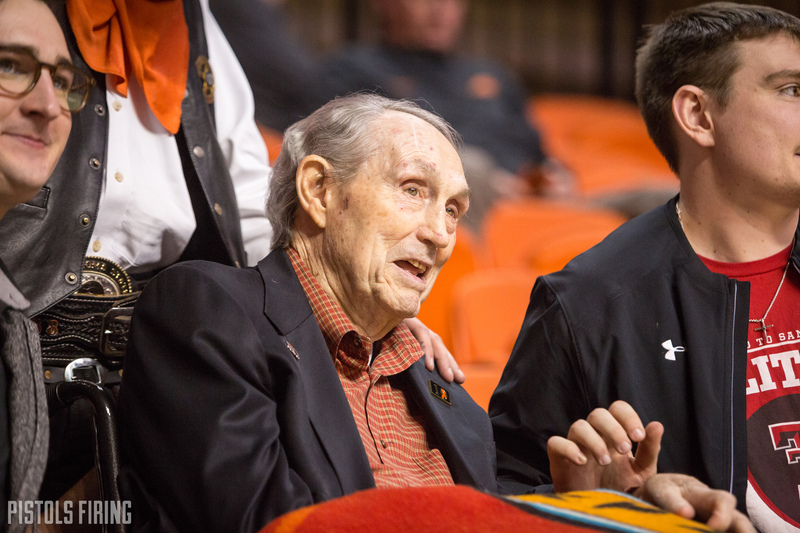 Eddie Sutton won’t be enshrined into the Hall. Again. News broke Tuesday that, for just the latest time of many instances, Sutton has been snubbed by the anonymous Naismith Memorial voters. “Once again the phone rings and what should be a joyful moment for the Sutton family becomes instead a downpour of sadness,” the Sutton family said in a statement reacting to the snub. “Our first reaction each time is confusion and anger toward the board for once again failing to acknowledge the great career and accomplishments of this worthy candidate, however, this year is different. This year, for the first time, we see that the true injustice lies with us. The tone of the Sutton’s message is to-the-point, even comes off a smidge harsh. And rightfully so. He deserves the enshrinement reserved for the greatest coaches in the game; he’s the only coach with 800+ wins to not have been enshrined. As Bill Haisten of the Tulsa World reported, the expectation was this would finally be the year. The Sutton family made arrangements to travel to Minneapolis — the home of the 2019 Final Four — to officially be recognized at this year’s announcement. But just like that, another year, another snub. Haisten’s headline — “Unbelievable – Eddie Sutton denied again by Naismith voters” — sums it up best. Unbelievable.